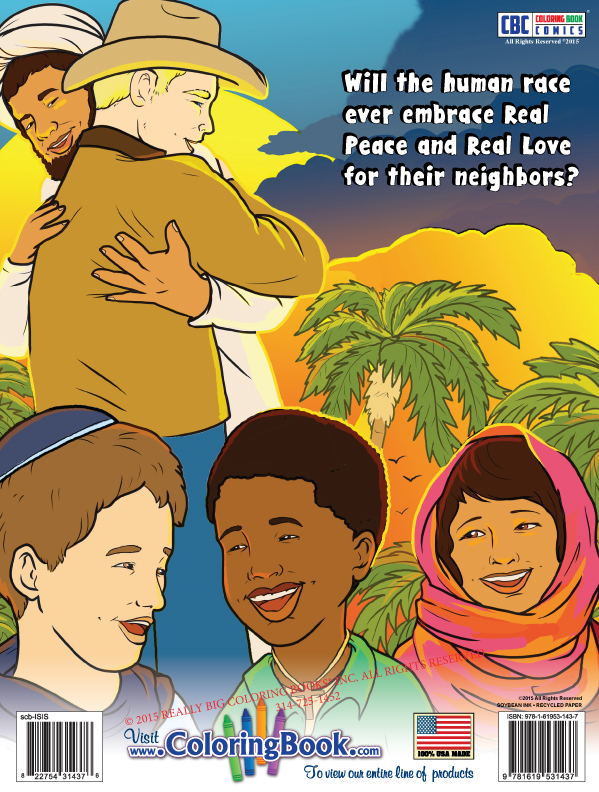 Recent publication by St. Louis Publisher Really Big Coloring Books proves accurate on several topics, themes and statements including Jihadi John, Paris and American terror attacks, weeks prior to terror events. Terrorism within and imported to America. 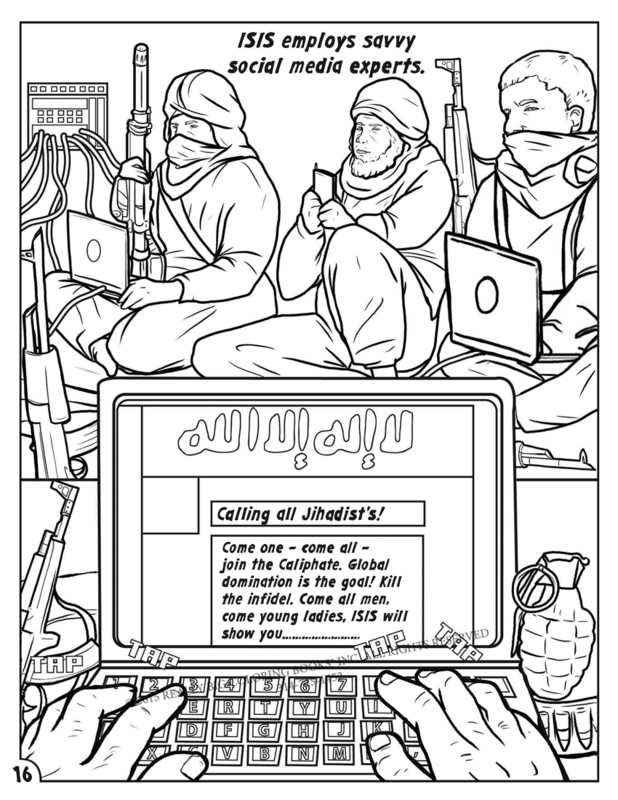 Released to the public on Nov. 4th, 2015 the highly controversial Anti ISIS Coloring Book Comic has proven to be very accurate in its description and education regarding radical Islamic terror. As reported by Breitbart and Fox News the book has sparked heated debate in news rooms, on talk shows including the public sector. "The images and messaging in the book are the most benign way the public can view the real truth about ISIS, without having to endure the hideous images available on the internet, various news casts, from Twitter to Facebook to a local news feed," stated Wayne Bell in a video the books author and publisher. 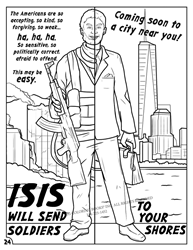 The Anti ISIS Coloring Comic Book retails on the company website for $7.99 and can also be purchase on Amazon. CBS Atlanta reported the book entails the hideous reality of the ISIS world. Included are graphics and representations of targeted areas the ISIS terror organization wishes to attack or destroy. 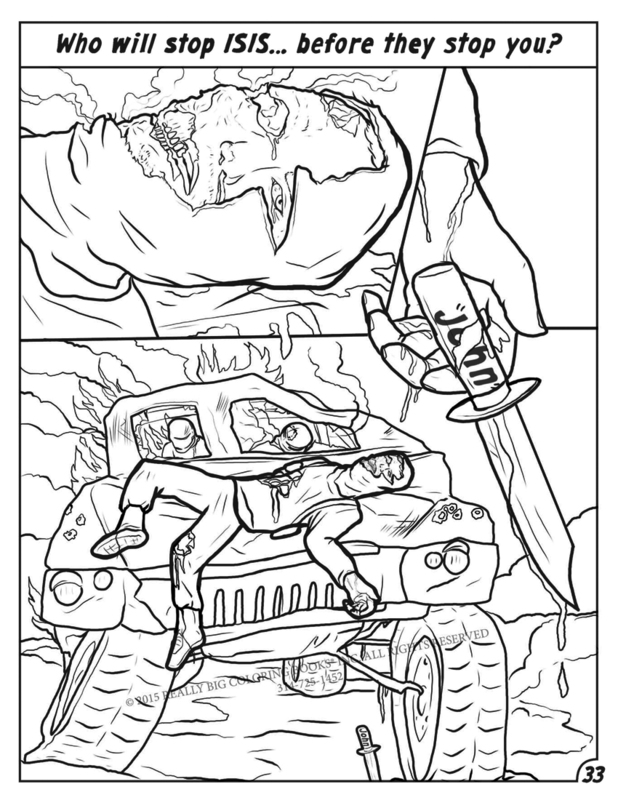 From Paris to the streets of America, the coloring book comic detailed several events prior the recent murderous attacks. "The book draws rants and raves," states Headline News. On page 31 of the book are named many terrorist organizations including one called CAIR (The Council on American Islamic Relations), which has been named as a terrorist funding group in more than one middle eastern country including the United Arab Emirates and Saudi Arabia. "We are presenting the facts as our company finds them," continued Bell. "Creating this product was not difficult, our internal approval rating on the book regardless of material, has over a 96% acceptance rate from the public, albeit a tough read, it's very real and accurate. This book does not arise to extreme graphics that can be found in some common video games. The "tough part is" the fact of the book being totally real and not fiction or fantasy." ABC news Chicago states the book aims to discredit terrorists. In addition to RBCB music products, crayons, books, paper products, graphic design, animation and coloring books the company's true to life Comic Book line has proven to be a global success. RBCB operates several divisions; retail, fundraising, internet, animation, music and creative development. Really Big Coloring Books®, Inc. (RBCB), headquartered in St. Louis, MO, is a multi-national company providing quality children’s teaching and learning tools greeting cards, comic or coloring books and other paper related items for over two decades. Known for their market leading positions, the RBCB family of products are classic, colorful and unique. The company owns more than 1,200 industry related domain names in several countries and is known as a trend-setting leader within the industry. All the RBCB company products are manufactured in the U.S.A. To find out more visit: ColoringBook.com or call 314-725-1452.